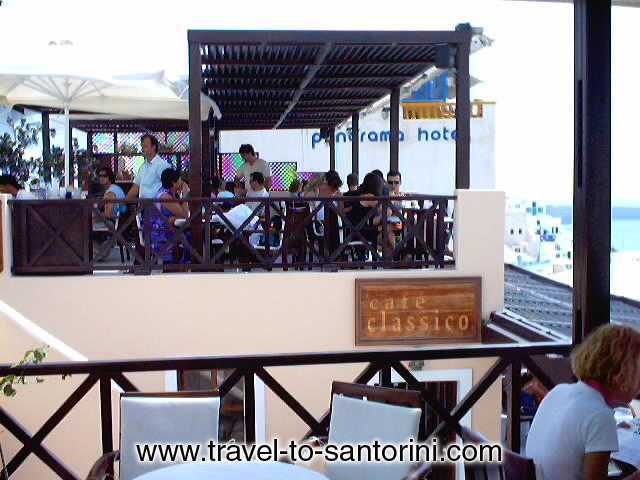 Classico Café has been, since 1998, a regular stop for the visitor to Santorini. 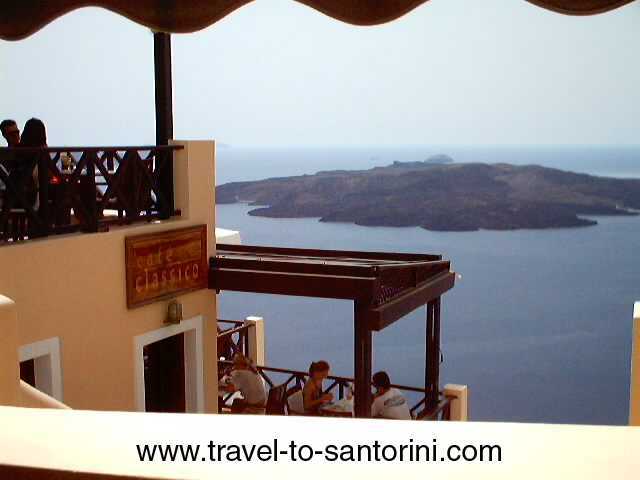 Breasting the Caldera at Fyra, it offers what may be the best location for one to enjoy the famous sunset of Santorini. 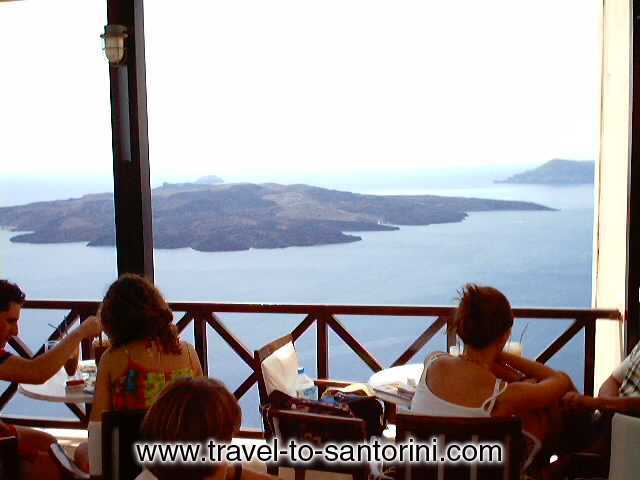 The view, of course, is not limited to the sunset since, in front of Classico's balconies, lie the chapel of Aghios Minas, the volcano, the numerous little houses that clamber one upon another, the boundless blue of the Aegean sea. 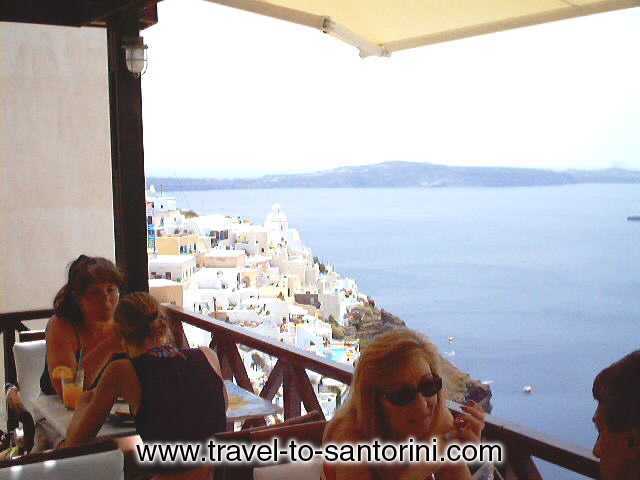 Discreet music and what may be the best-made espresso on the island will complete your particular memories. When we leave our anxieties and cares behind, we seek moments of rest and relaxation. Moments that will replenish our positive energy and grant us beautiful memories. In a particular island such as Santorini, with its unique cultural and geological heritage, Classico supplements with dignity, such matters as quality, finesse, attention to detail. One could say that it adds "seasoning" to hospitality and accommodation. It is not by chance that Classico operates all round the year and is selected as a rest spot by the permanent residents of the island. What may be the best-made espresso on the island, fresh juice and fruit salads, sweet delights, culminating in our home-made ice cream, snacks. Our bill of fare also includes light meals, such as plates of seafood, with salmon, octopus, shrimp and various shell-fish, club sandwiches, grilled griskin and salads. If you would prefer an alcoholic beverage, you only have to choose between liquors, cocktails, beer, wine or champagne. In the center of Fyra, on Ypapantis street, the most cosmopolitan byway of the island, Café Classico awaits you.